No matter, this is easily fixed by using some of Mr's black shoe polish from the cupboard.. Although perhaps readers, I should have opted for some acrylic paint and a paintbrush to decorate my boots with a food consumer label, as British fashion designer Ashish demonstrated with his fast food cowboy boots as seen on London Fashion Week Spring/Summer 2011. 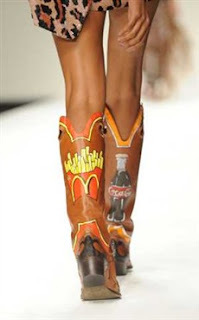 Cowboy boots decorated with McDonald’s fries, Coca Cola, and burgers no less.. fashionably ironic?!! 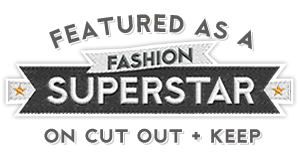 hmm, maybe I should have grabbed those boots after all! I think my brain was dead after all my crafting that night! 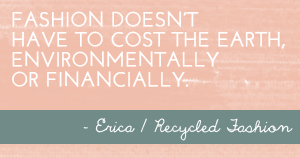 Wow that's a great idea! They look great all black. Great work on the boots, they look so smart and new and what a simple idea. 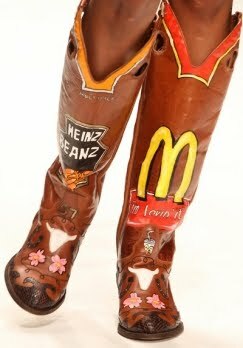 I do like the other cowboy boots but only in the heinz beans design, as reminds me of a Littlewoods breakfast!